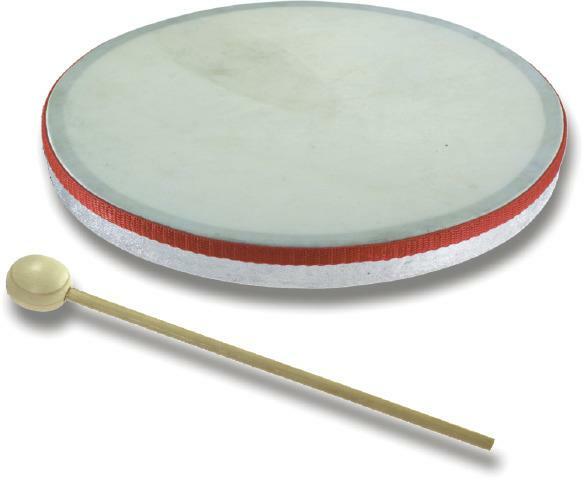 Super thin, 10" hand drum with real skin head provides an exceptionally loud and clear drum sound. A durable wood mallet is included. Colors may vary.